Using technology as advantage, modern guests search for hotels and accommodations on Google before starting their journey. Later, they book their stay with hotel through travel sites or hotel website. Now Google gives you a chance to capture these book-now moments with advertisements of your hotel. Google has come up with a commission based program called Google Hotel Ads, helping hotels capture direct bookings induced by guests' search results. 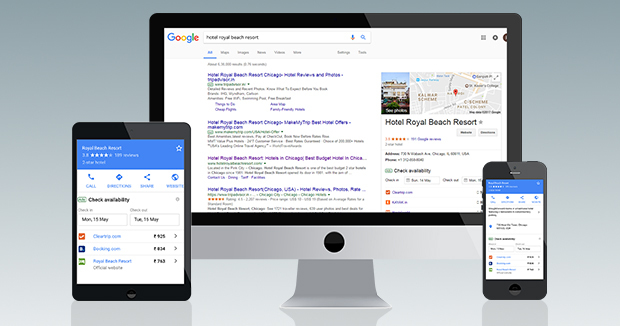 When you enroll in this program, Google will display your hotel ad in guests' search results. Thus, the guest can see your room rates, amenities and more details right in Google, from where he can visit your website and book directly with you. You will need to add a Booking Engine in your website to collect those bookings. As per the program, you can enroll only through an authorized partner. eZee is Google's Authorized Hotel Ads Integration Partner. Let us know if you want to start with Google Hotel Ads and we'll be happy to launch your ad campaign. When planning on investing for your business, it's only natural to compare the options you have before calling out on the final decision of purchase. Especially when it comes to an extensive system like a channel manager, you need to ensure that you are getting the best of it in the industry. 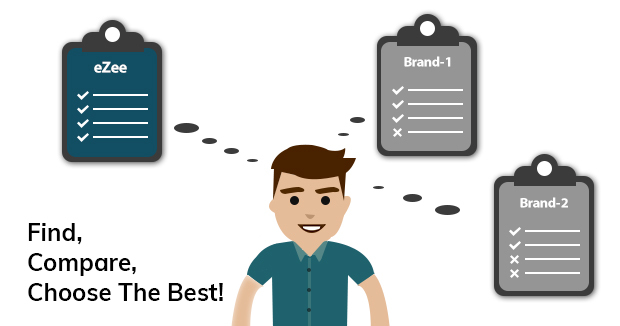 eZee put forward a free comparison tool for a channel manager, by presenting a buyer's checklist to be kept in mind before investing in it. Giving you a 360-degree overview of an ideal inventory distribution system, the comparison tool will also familiarize you with the features and functioning of eZee Centrix channel manager. Summarily, this tool will ease your efforts in comparing options for a channel manager by helping you perform an in-depth analysis before your purchase. Compare your options with this free comparison tool and determine easily on the suitable channel manager and inventory distribution system for your property. Hoteliers in Italy, this is a news for you! A couple of months back, Italian government mandated nation-wide hoteliers to send guest details to public administration. And since then they are expected to consolidate guest flow data and submit to Italy's National Institute of Statistics (ISTAT). Identifying critical need for a system to generate these reports, eZee engineers quickly built a provision to automate it. 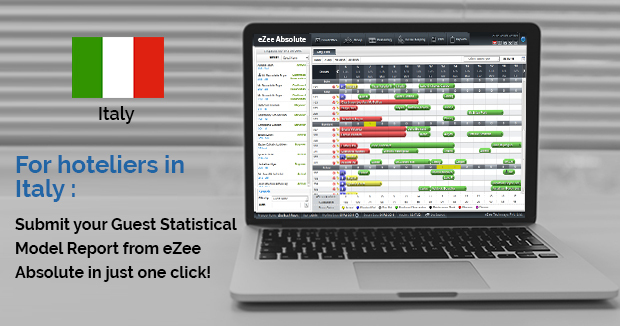 Our cloud based PMS generates monthly Guest Statistical Model Report in just a few clicks for hoteliers to send to ministry. This report contains details of arrivals, nights spent by residents/non-residents at the property and more. Moreover, eZee PMS generates daily Public Safety Folio as well to be sent to Italian police, which covers details of daily registered guests. Thus, once again the system has proven to be time and effort saving, while eliminating cumbersome hassle of manual reporting. eZee has previously developed such region-compliant functionalities for hoteliers of Panama and Iceland too. Are you still manually working on reports for your hotel? Well then, all you need is our all-in-one hotel management solutions. Let them take care of everything and you can sit back and relax. Factually, technology has been playing a vital role in expediting operations and enhancing services of the hospitality industry. Right from planning a trip, to bookings, to arrivals and post-departure engagements, you as a hotelier can automate each stage of guest life-cycle by means of cutting-edge hospitality technology and offer an extraordinary experience to your guests. Searching for a hotel : Be present on Google and your work is done. A channel manager will distribute your inventory on OTAs and let your guests find you from anywhere. 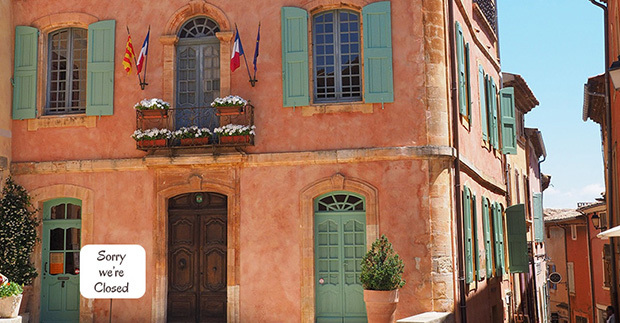 Book the stay : Be accessible for your guests to book from anywhere they wish to. In this case, utilize a booking engine to supervise your bookings coming from your website. 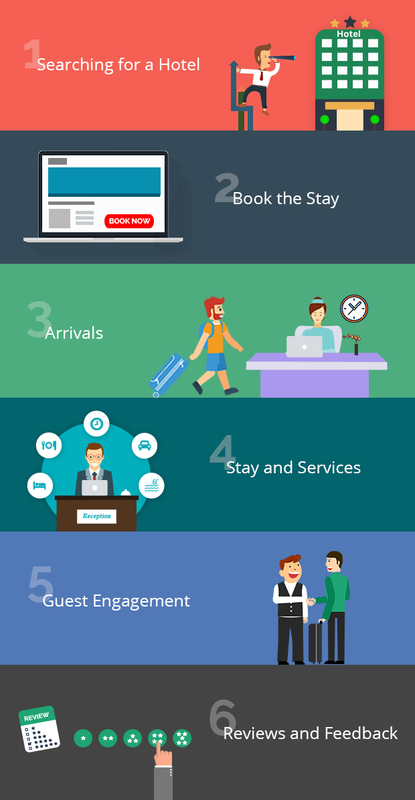 Arrivals: Manage your guest's arrivals, stay details and preferences through a PMS easily, or let them check-in and raise requests from Mobile Guest Self-service Portal for efficient operations. Stay and Services : Synchronize your dine-in services with the guest's stay by restaurant POS software, and keep a record of other services that your guest takes with the PMS. Guest Engagement : Engage with your guests by sending them regular emails while they are at your hotel and even post their stay. Reviews : Take feedbacks from your guests on their experience at your hotel, publish them on your website and social media pages to let others know about your services. A complete control over these stages with technology can help you deliver remarkable services to your guests over the time. eZee's comprehensive package of integrated hospitality solutions will automate your operations and transform your business. When people have tons of options of restaurants to visit; as a restaurateur, you must offer enticing packages to acquire and retain guests. But all those offers and promotions that you are running at your restaurant, how would your guests know about it? How about a POS system that helps you do branding and marketing? Try some emails and SMSs, reach your guests right on their phone. How? Here comes in picture the powerful eZee POS system. This restaurant point of sale software automates the notifications for your offers and promotions on meals, dine-in or takeaway discount, offer of the day, happy hours and more. 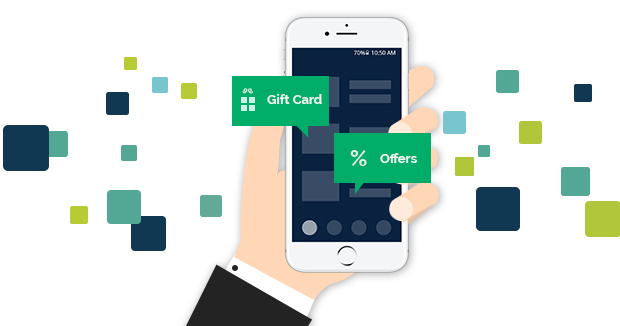 Alongside, you can issue gift cards and loyalty cards to your guests form system. They can collect points in those cards and redeem them for your services or anything they want. Additionally, the system even sends email and SMS notification for status updates to card holders, including redeeming bonus points, reissue of expired cards, special offers and much more. So many features for you to try in eZee POS. We'll tell you how to make best use of it at your restaurant. Skype us now! Each establishment in the hospitality industry, regardless of its location is unique in its own way. Whether you own a cafe, bar, B&B, hostel, resort, motel or a hotel chain; you seek for a specific set of requirements in each hospitality software you come across. That's why, giving the software a try is important to make sure that you've got all your needs met. Know whether the software suits you or not : Of course, the software is built to cater to millions of functions, but does it satisfy your needs? Check that in trial. User-friendliness : If it does suit your requirements, how easily you can operate it? Or your staff can? See for yourself during trial. Training : You need to systematically learn best ways to use the software at your hotel or restaurant. Thus, training sessions during trial are the cherries on cake. Support : You might need anytime support too when you use software. You will know how their support execs troubleshoot your queries. Do they provide 24/7 live support? Way to go! 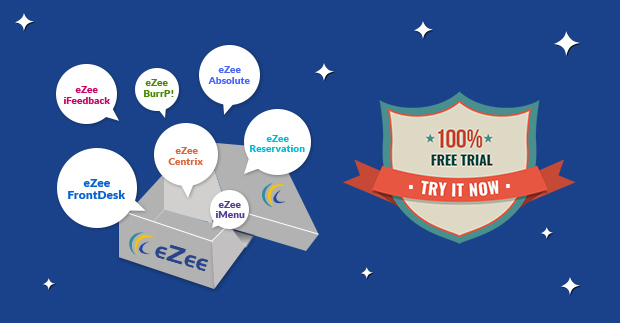 eZee offers everything of this and more during a complete trial on all of their hospitality solutions. All in all, a trial before you purchase will help you determine what works out best for you and your establishment. Yes, we are serious. We had to do this for you. Having worked in hospitality industry for more than a decade; we, at eZee have witnessed everything ranging from successful hospitality start-ups, ventures, endeavors that failed big time, harsh market conditions and a lot more. Some businesses survive while most of them were not able to reach their full potential. You never know what tomorrow can bring for you unless you are well equipped to face and withstand anything. Hence, we decided to bring forth these eternal pieces of advices and hints that are better known while you are in hospitality business. When it comes to hotel business it is not just people checking-in and out, but more to it, as hotels operate 24x7. Send this research to your fellow hoteliers for them to stay mindful of these key practices. If not business closure, you must read this to stop what can erode your profit. Stay prepared and take insights from this research compilation and you'll learn what to do and what not to do. Let's explore!